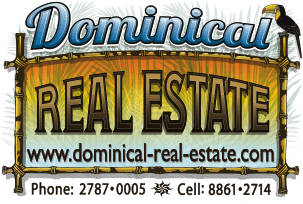 1.74 ACRES - 3 Bedroom Luxury Home With Pool And Ocean View In Jungle Setting!!! This magnificent two-story home features a beautiful and fascinating layout that is tremendously ideal for luxury. It is situated in a rich bio diverse ecosystem amidst the jungle. It is a less than eight minutes drive from Uvita town. The structure gives optimum privacy, as it is located on the dead-end road and inside of a small development property area. With top-notch security provision, it is a safe haven for residence. Apart from the security infrastructure in the area, there is also an electric gate coming up very soon to ensure maximum security and safety. The private and public road facilities are also in perfect condition. The utilities are second to none; the water source is a clean spring from around the environment. For beauty and class, the building is a professionally decorated home. It has a blend of luxury and high-class taste. There are certainly few properties that give people a perfect blend of luxury, beauty, and convenience as this. However, this luxury home located in Uvita is one of such. It is well positioned in a geographically rich hilltop community, a 7-minute drive from the coastal Highway and quietness of the environment compensates for the noisy outside world. This property is well graced with first-class community amenities like well-maintained internal road, gated entry and exit, beautiful landscaping, and garden, proximity to schools, shops, and transport facilities. This realty is a showcase residence in Costa Rica, a unique location close to the Pacific oceans where regular amazing ocean and jungle views can be caught. Aside from this, the rainforest vegetation and wildlife species are sights to behold! This property is a horticultural edifice. It is well beautified with different palm species, edge plants and carpet grass giving it an appealing and welcoming invite. In front of the swimming pool are two adjacent sitting areas giving a perfect view of the pool. Each has a ceiling fan. From here, you enter the sitting room. The home has large windows and sliding doors. The kitchen, dining room, laundry, and a full bathroom are all linked in a most convenient way for easy accessibility and navigation within the interior of the property. The roofs are made of top quality cedar woods. The open feel from the outside is radiantly present within as the large windows and sliding doors make provide a good blend of interior warmth and exterior view. The dining is spacious with top quality furniture. The spacious and ultra-modern kitchen is well equipped with a massive gas cooker, cabinetry and other facilities that make kitchen activities easy. It also has a beautifully tiled bathroom and toilet; close to it is the laundry with two medium sized washing machines and cabinets for fabric handling. The home has three decorated bedrooms, sitting chairs, large sized beds and crystal clear glass windows giving a nice view of the jungle and pool. The upstairs gives an amazing view of the green and lush vegetation through the luxuriously furnished and private bedroom. Apart from the ocean views, a good view of the tropical birds that frequent the area. Uvita is definitely a place to be, if you are in search of a luxury property in Costa Rica, well, search no further! This property is just perfect! This lovely home is selling furnished and turnkey ready. In the right hands, it stands a good position of being a huge rental property since it has virtually everything needed by tourists. For serious potential buyers, if seeing means believing you would you mind us taking you for a personal tour around this beautiful and luxurious home?